The final table of this year’s WPT Borgata Winter Poker Open Championship was set last night at the Borgata Casino in Atlantic City. And a player well familiar to the feeling of being among the final six in a WPT Main Event is leading the pack into Friday. Zach Gruneberg is looking to improve his second-place finish in the 2016 WPT Borgata Poker Open $3,500 Main Event. The title slipped from the player’s hands after a heads-up against Jesse Sylvia. Gruneberg collected $490,617 for his runner-up finish back then. Now, he is in a more than excellent position to target the Borgata Winter Poker Open Championship title, as he finished the tournament’s penultimate day and will enter the six-handed final table with a massive chip stack and lead over his final five contenders. Gruneberg bagged a total of 17.6 million last night at the host casino, good for 176 big blinds. The player is well ahead of Joe McKeehen, who finished second in chips Thursday night with a stack of 5.955 million. Gruneberg may have secured himself with a good advantage over the other final tablists, but this absolutely does not mean that surviving through the final day of play will be an easy task. And the fact that former WSOP Main Event Champion McKeehen is in contention is a proof enough to this statement. 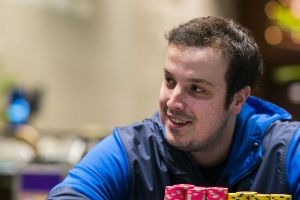 Eric Afriat is another well-familiar player who is set to return for final table action. Back in 2014, the player topped the field of the largest-ever WPT Main Event at the time. Afriat beat 1,794 other entries to scoop the largest portion of the $5.7-plus-million prize pool. His share of the money totaled $1,081,184. Afriat is now entering the final table of the WPT Borgata Winter Poker Open as the short stack with 2.28 million. Aside from Gruneberg, McKeehen, and Afriat, WPT regular Justin Zaki (5.565 million), Michael Marder (3.08 mullion), and Stephen Song (2.74 million) will be the other three players to round out the official final table today. 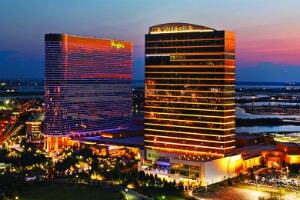 This year’s edition of the WPT Borgata Winter Poker Open Championship drew 1,244 entries. Of these, only 27 returned for the event’s penultimate day on Thursday. Steven Greenberg was the player to lead the final 27 survivors. Eventually, the player finished ninth, good for a payout of $65,192. Each of the six finalists is guaranteed a minimum prize of $138,254 from the nearly $4-million prize pool. As for the champion, he will receive a total of $651,928, including a $15,000-worth ticket into the WPT Tournament of Champions. This year, the event will take place on May 24-26 at Aria Resort & Casino in Las Vegas. WPT action is set to resume at the Borgata today at 2 pm local time. The six players will be playing down to a champion.